Why I love reading Mint! As a child, I was never much into Newspapers. 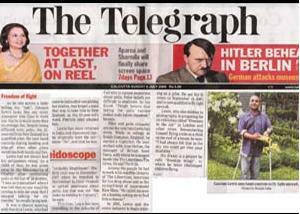 While I was growing up in Kolkata, my life started and ended with The Telegraph. Before I started growing up (I mean, when I was really small! ), I also remember seeing The Statesman around the house but as I started growing up, I started seeing less and less of that newspaper around the city. Although ‘Statesman’ was always regarded as being “classy” by the city’s intellectual elite, the young Kolkata “yuppie” was increasingly getting attracted towards the pepped-up, trendy ad ever-changing “The Telegraph” from AnandaBazar Patrika (ABP) Group, the same group that also runs the weekly national business news magazine, Businessworld. Over the past few years though, given my profession, I have taken to reading business newspapers once in a while. And more recently (honestly, only once I got out of Business School and started working!) I started subscribing to The Economic Times. I was positively disposed towards the “pink papers” and enjoying my disposition as I carried the papers to office every morning. Except that one evening when one of my colleagues quirked, “You look like a banker when you carry “ET” while walking into office.” And that reminded me of a ‘non-pink’ business paper that one of my ex-bosses (and good friend!) is ga-ga- about – Mint, by HT Media. The fact that it carries content by Wall Street Journal goes a long way in establishing credibility. So I decided to “switch” to Mint a month or so back and to my surprise, I have been hooked on to it ever since – in a manner that no other newspaper has gotten me hooked. I mean, it is almost like I look forward to reading what is “on the Mint” everyday. 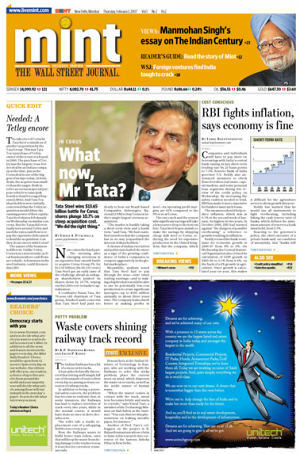 The quality of content, the presentation and the way the newspaper is seamlessly integrated with the online portal (www.livemint.com). And I think that is exemplary – It is a lesson that a few other newspapers could take out of their book to make their “reader experience” as seamless. And that’s only one good thing I like about “Mint”. Innovative Sections: like the “Quick Edit” section which has recently started appearing on the front page. Hardly 2-3 paragraphs of clear, crisp opinion on a current, relevant issue. 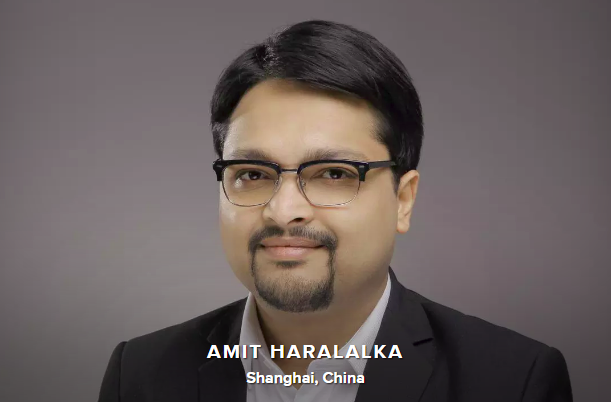 Presentation: One of the senior managers I work with commented, and I agreed, that the quality of graphs, charts and the way data is presented on the Mint is very unique and a lot of information can be grasped in very little time. So much for admiring a newspaper – Gosh I never thought I’d write an entire blog-post analysing a newspaper – considering how boringly commoditized I always thought they were – with hardly any product “differentiation” .. I mean, how difference would news be? – And how much of a difference would it make if the news of the “next dotcom boom” is brought to me by Newspaper A or Newspaper B? Scratching the surface just a little deeper shows me, maybe it does. hi!! interesting blog.. makes me wana buy and read oone instantly.. i think mint shud hire u, if they r not paying u!haha.. Previous Previous post: Book Review: Welcome to Advertising: Now get lost! Next Next post: ‘Marketing Thought’ for the day!